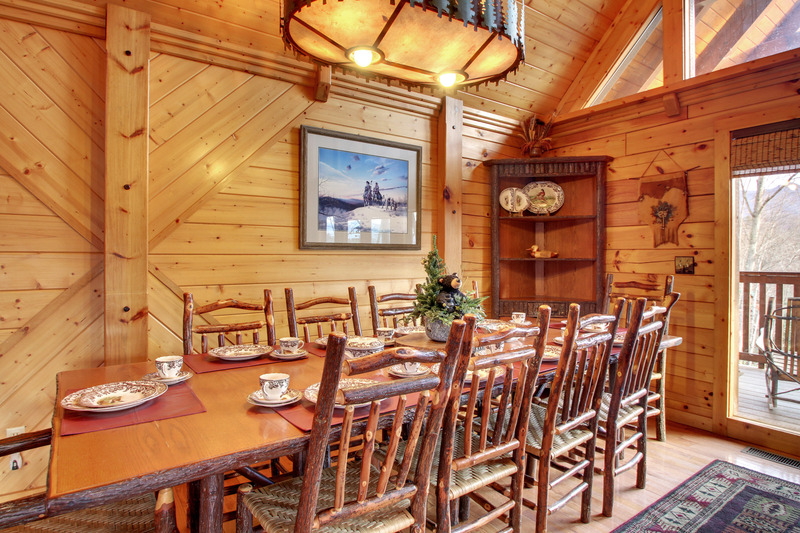 The beautiful all wood interior and authentic mountain furnishings make the inside ambiance as spectacular as the outside view. 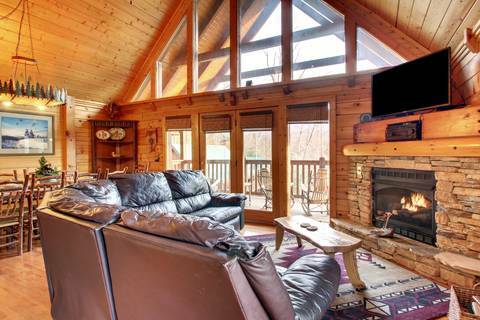 The upper level features a large living room, facing the magnificent mountains, with a cathedral ceiling, gas fireplace, and surround sound cable television which make a perfect gathering place for family and friends to relax and discuss their unique adventures. 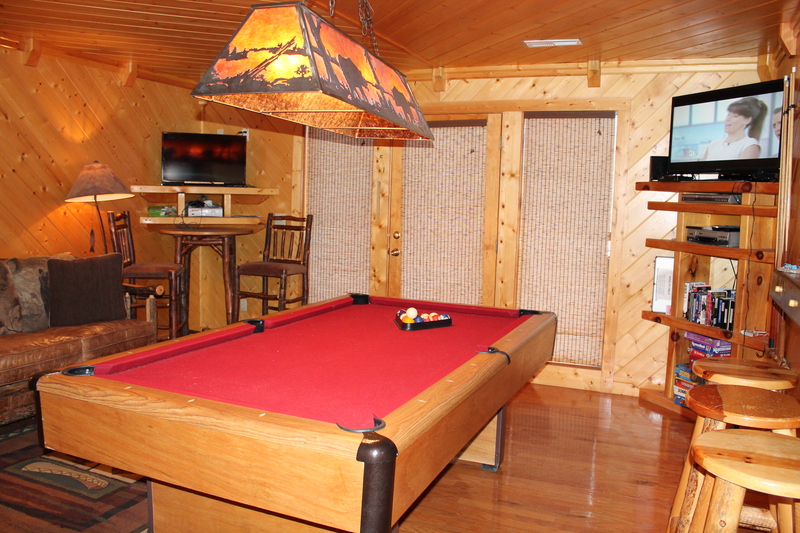 This level has a fully equipped, modern kitchen and a large, hickory dining table that seats ten adults with an island bar, in close proximity, that seats two. It makes preparing and serving sumptuous meals a breeze. The upper level has two bedrooms with king size beds and two bathrooms. 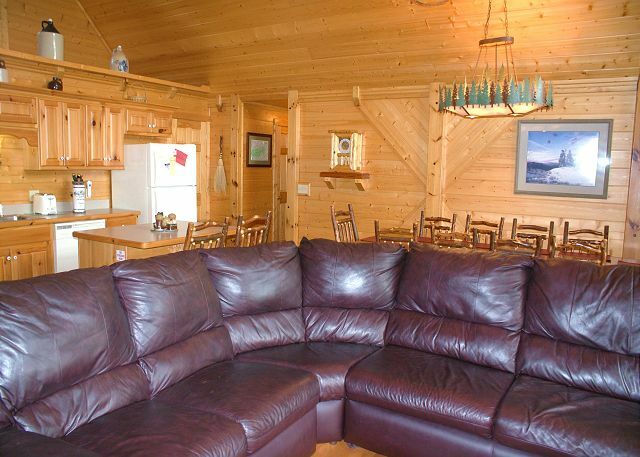 A leather, full size sleeper sofa in the living room offers an additional bed. 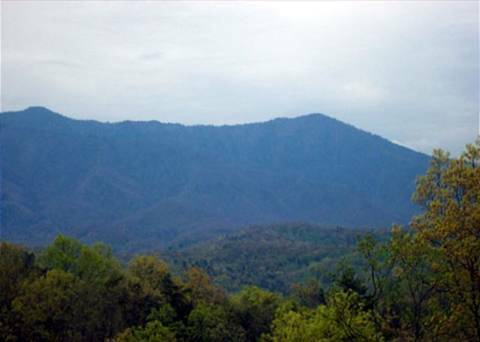 If you get muddy while hiking in the Smoky Mountain National Park, a washer and dryer are available for your convenience. 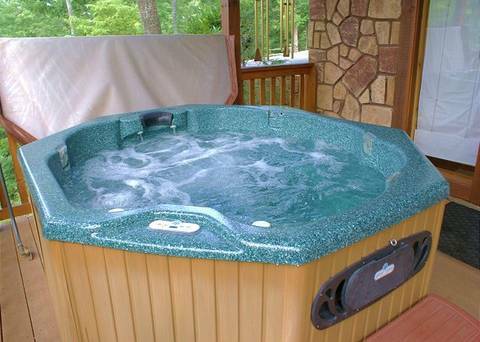 The lower, second level also has two bedrooms and two bathrooms. 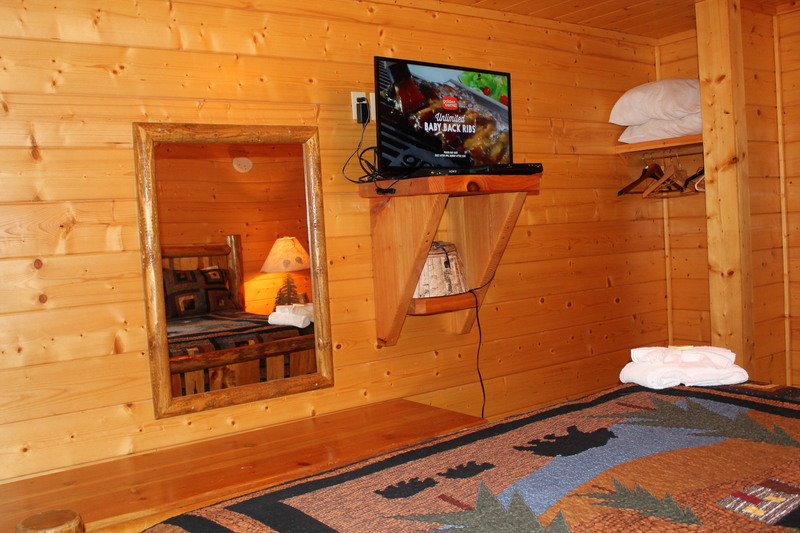 One bedroom is furnished with two queen beds and the other with one king. 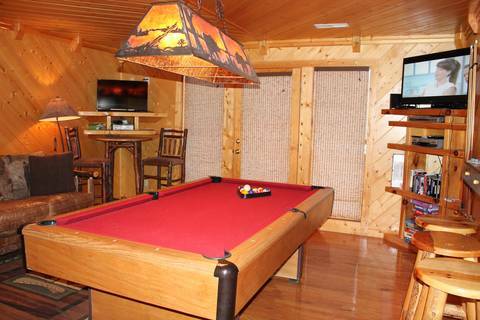 If you still need another bed, there is a queen sleeper sofa in the game room. 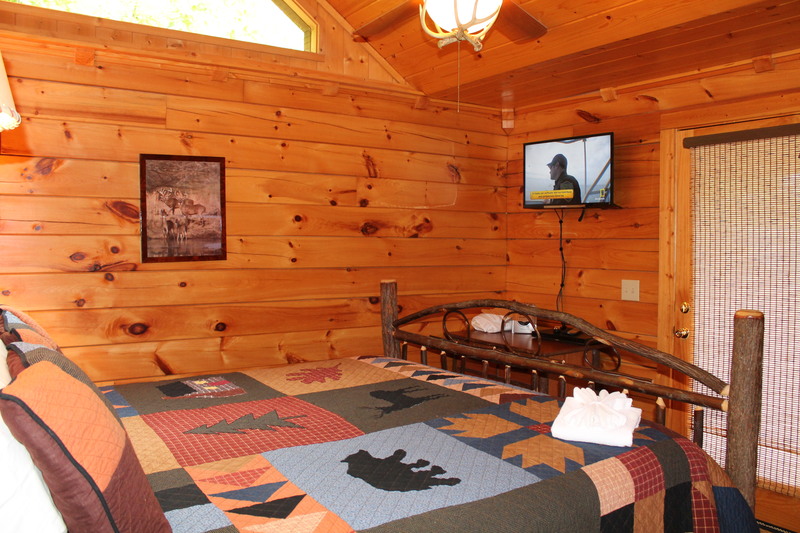 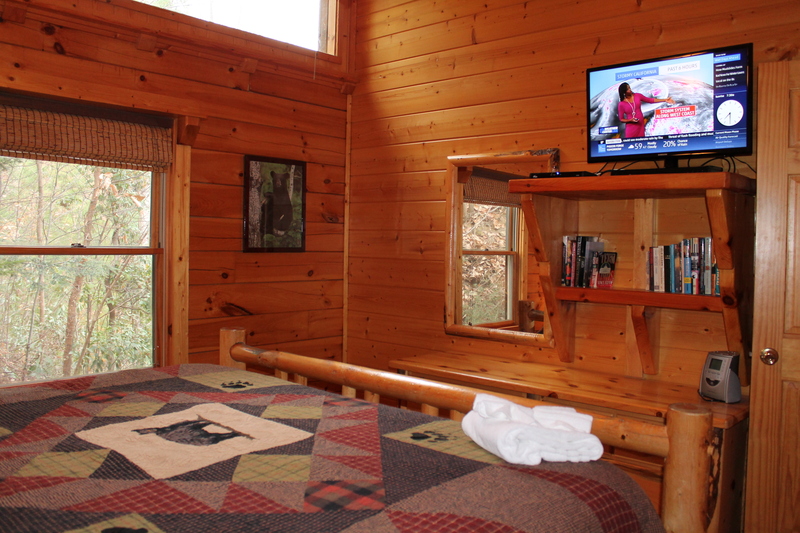 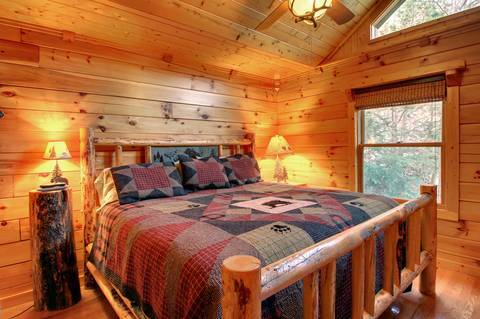 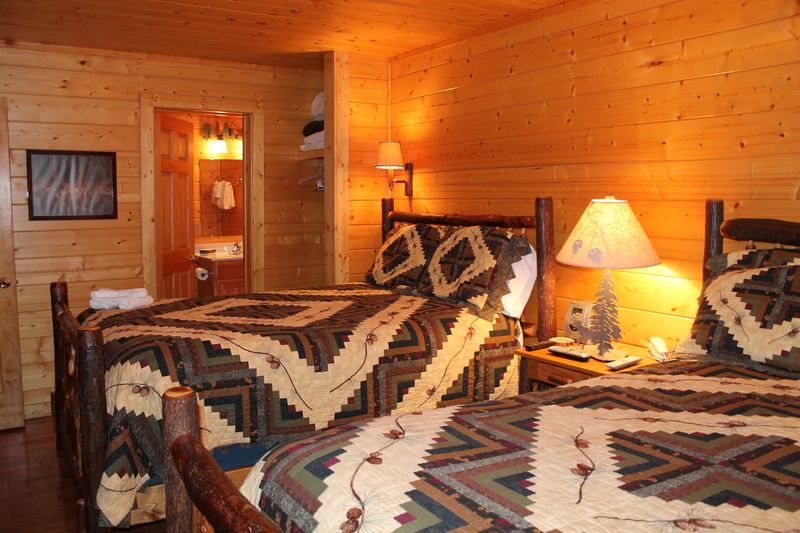 Each bedroom features a luxurious, top of the line mattress, cable TV and a CD, white noise, clock radio. The game room is unmatchable for delightful memory making. 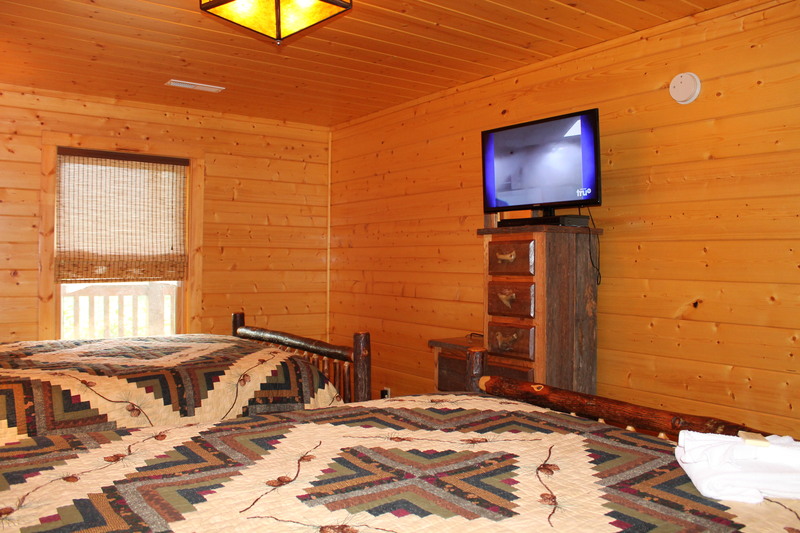 Watch a movie on DVD or VCR on one cable T.V. or play your favorite Xbox game on the second cable T.V. 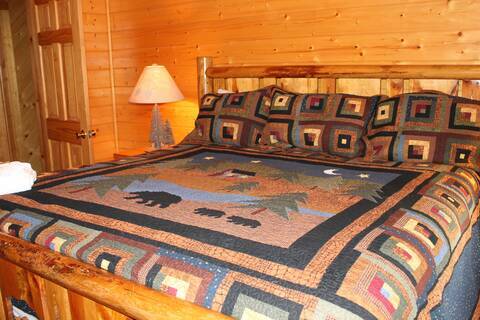 If you are in the mood for some old fashioned fun, select a board game, professional poker set, or coloring. 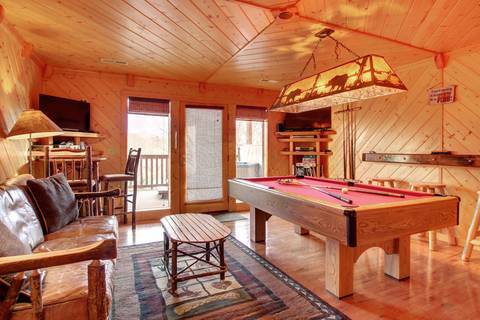 Challenge your family and friends to a game of billiards. If you must connect with your laptop, high-speed WIFI internet is easily accessible. 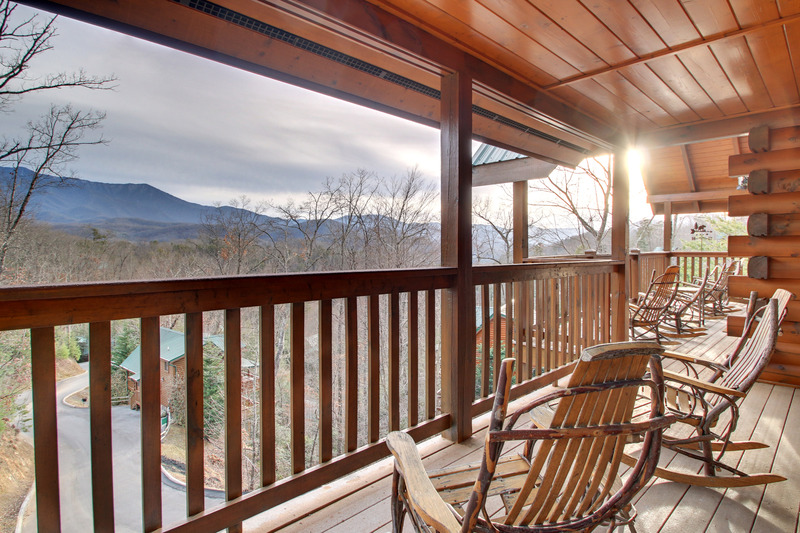 Two large deck areas, facing the unobstructed mountain view, run the entire length of the upper and lower level. The upper deck features rockers and tables with a natural gas grill on the porch. 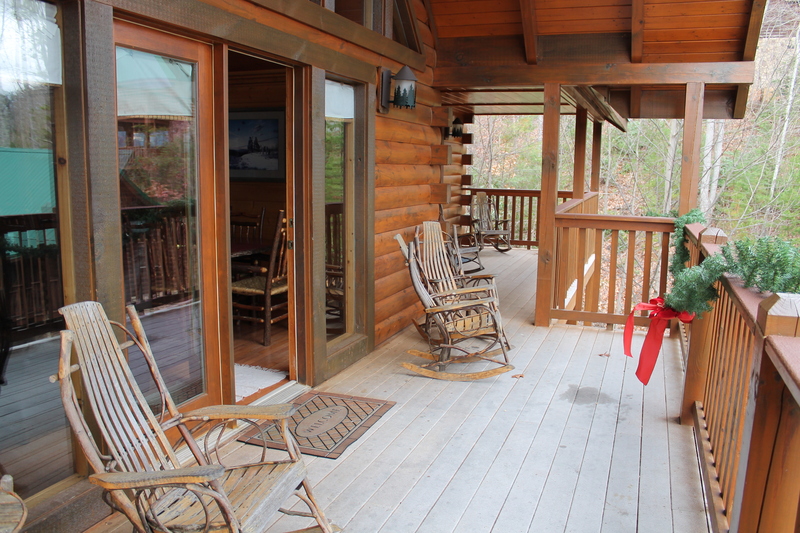 The lower deck is where you can relax in the hot-tub and cool off on the small picnic table and porch swing. 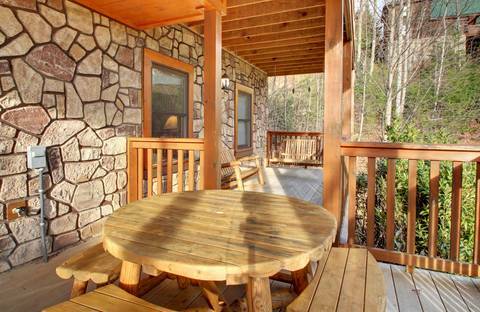 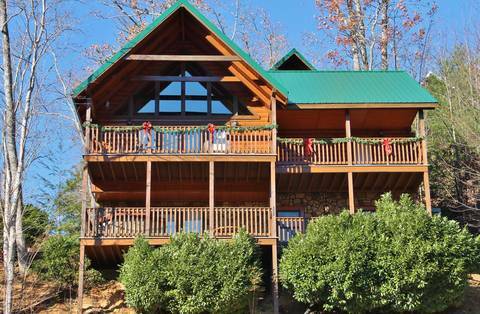 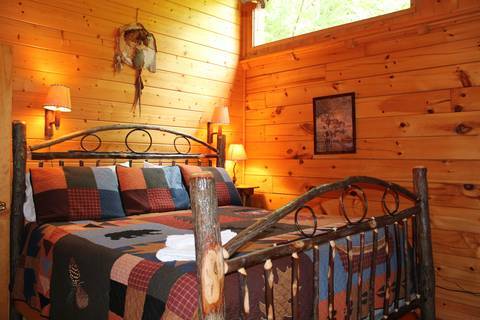 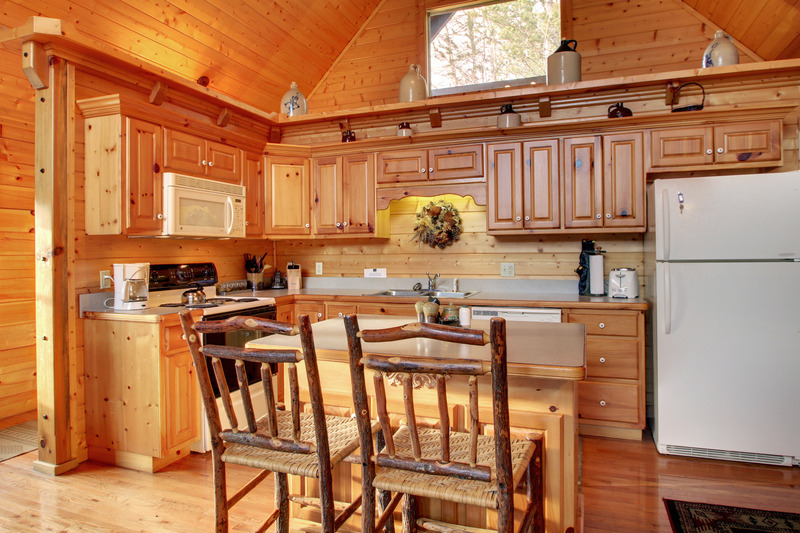 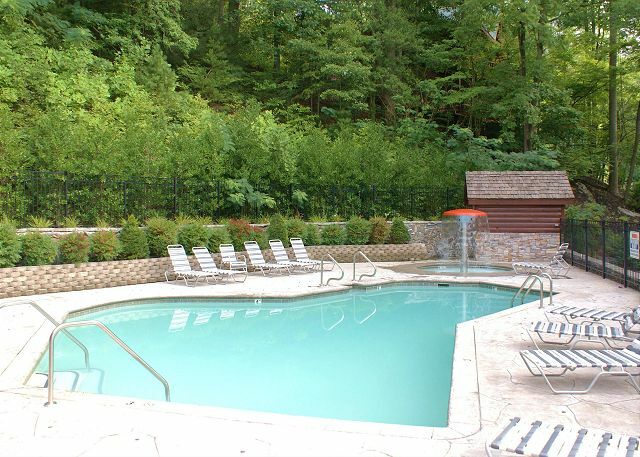 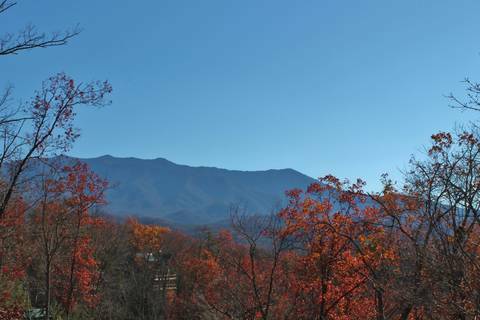 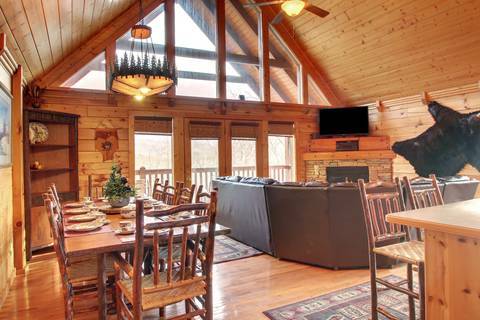 Located in the award winning resort of Black Bear Falls, you are within walking distance of the pool and an easy, short (3mile) drive to downtown Gatlinburg, which is the front door to the Smokey Mountain National Park. 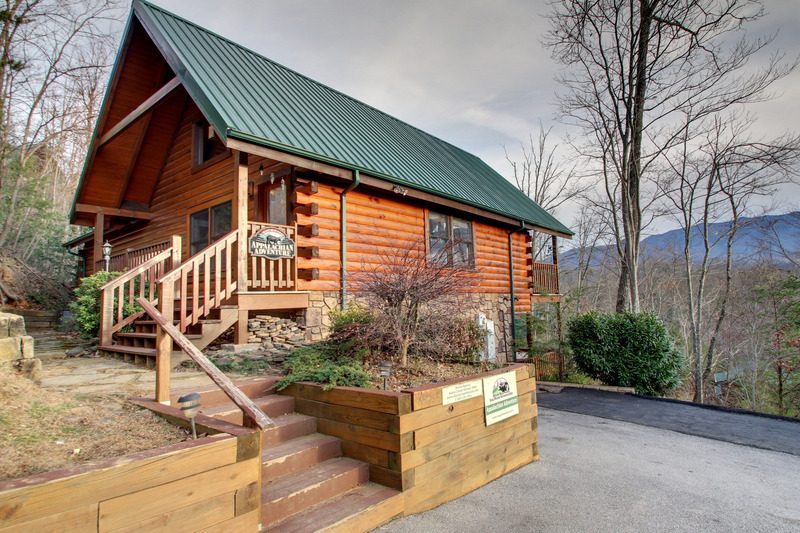 Black Bear Falls clubhouse is available to rent, please call for more info.